Delight in the riverside charm of Gdansk on a private 3-hour walking tour of the picturesque Polish city. Accompanied by a knowledgeable guide, stroll past colorful 17th-century houses and marvel at the grandeur of the Main Town Hall. Capture photographs of Gdansk’s symbol, the Neptune Fountain; absorb the ornamental beauty of St Mary’s Church; and gaze at the Grand Harbour Crane. 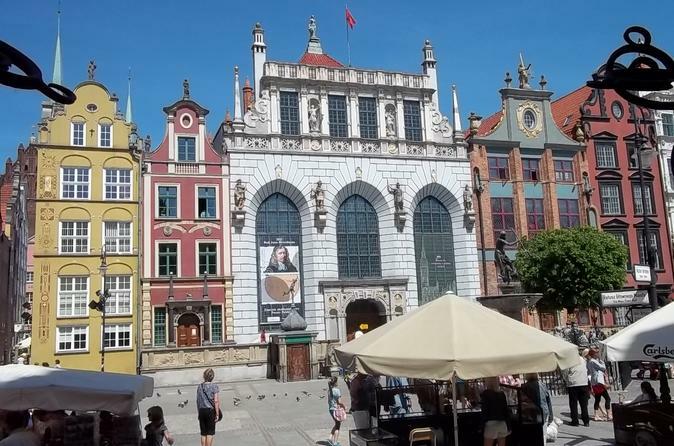 Gain valuable insight into the history of Gdansk and receive personalized attention from your expert guide on this private tour.